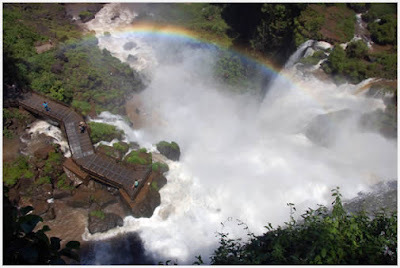 Iguazu Falls are arranged in a way that seems a reverse J. 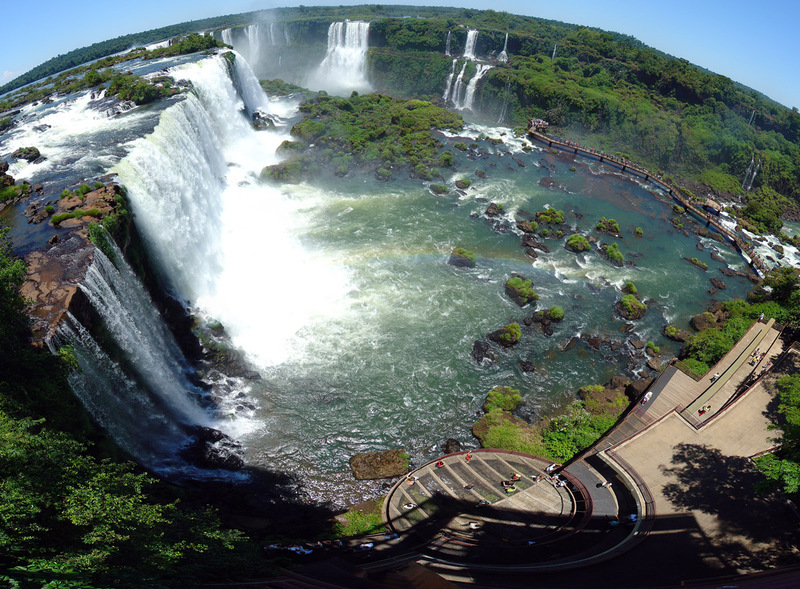 On the right bank is the Brazilian territory, which has just over 20% of the jumps of these falls, and the left side jumps are Argentines, which make up almost 80% of the falls. 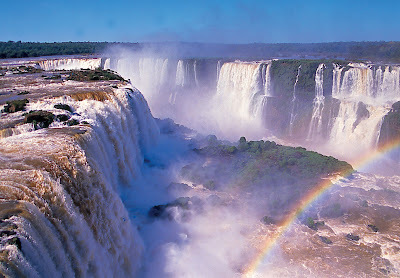 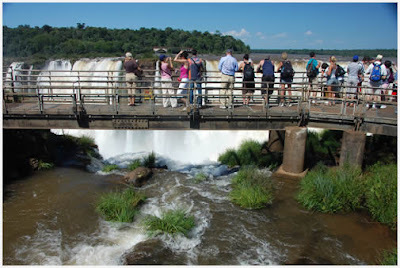 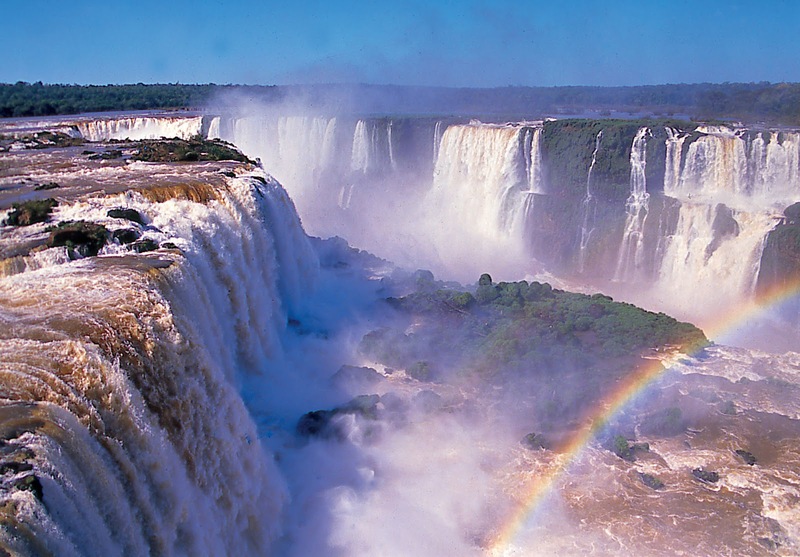 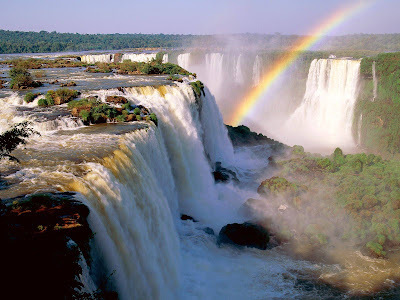 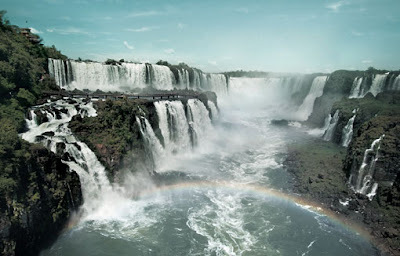 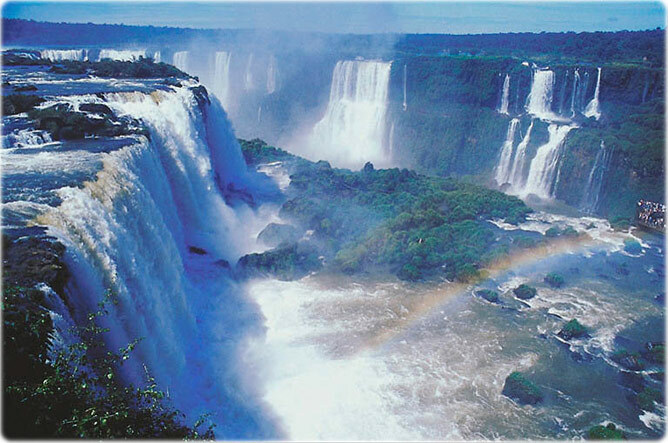 To completely and fully appreciate the falls, the recommendation is to visit both the Argentine and Brazilian side, as one side is a panorama of the other, and vice versa. 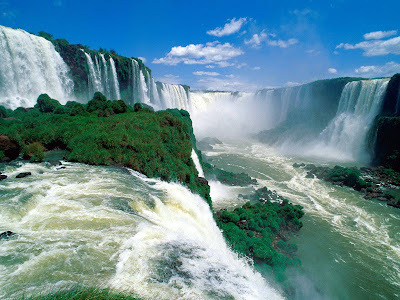 Those who know have said, more or less, that "from Brazil are the falls, and from Argentina is living" . 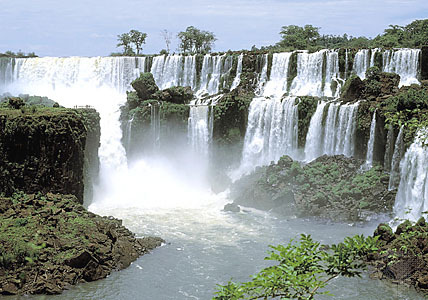 However, one moves between the jumps on the Argentine side, not only for gateways that allow almost touch the water, but also boat tours that allow you to jump up next to the stunning waterfalls, and even, it can delve to the very Devil's Throat, if one starts by boat from Argentina.